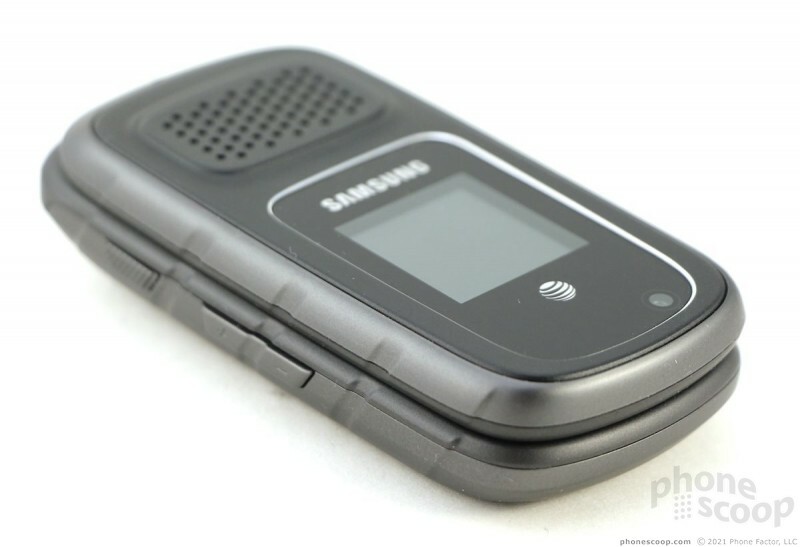 Samsung's rugged Rugby line for AT&T goes old-school with this early-oughts throw-back flip. 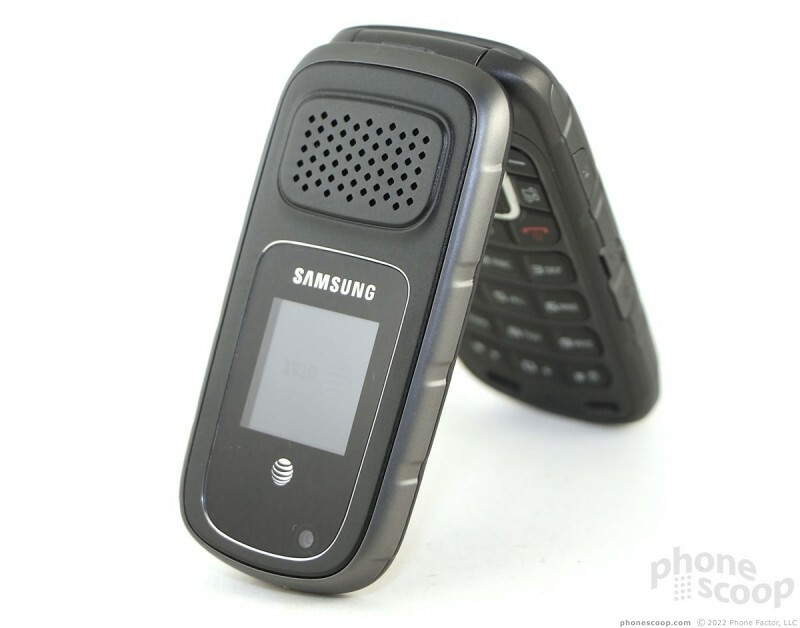 The Rugby III may not be a svelte stunner, but it is a tough telephone. 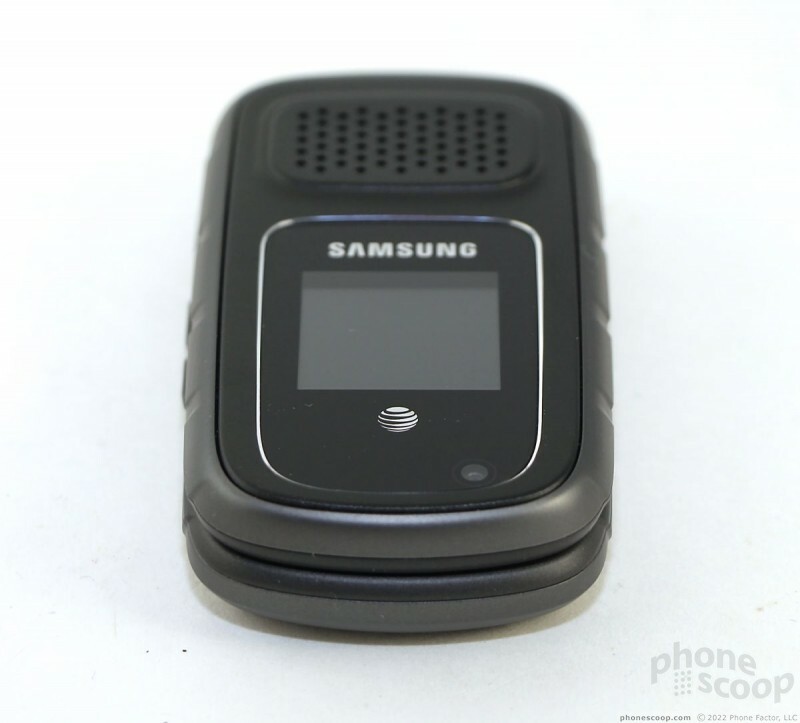 The Samsung Rugby III is a semi-rugged flip phone from AT&T that also offers push-to-talk capabilities. It's not crazy strong, but it is sturdy enough to survive the lesser perils of a somewhat-active lifestyle with few frills on the side. 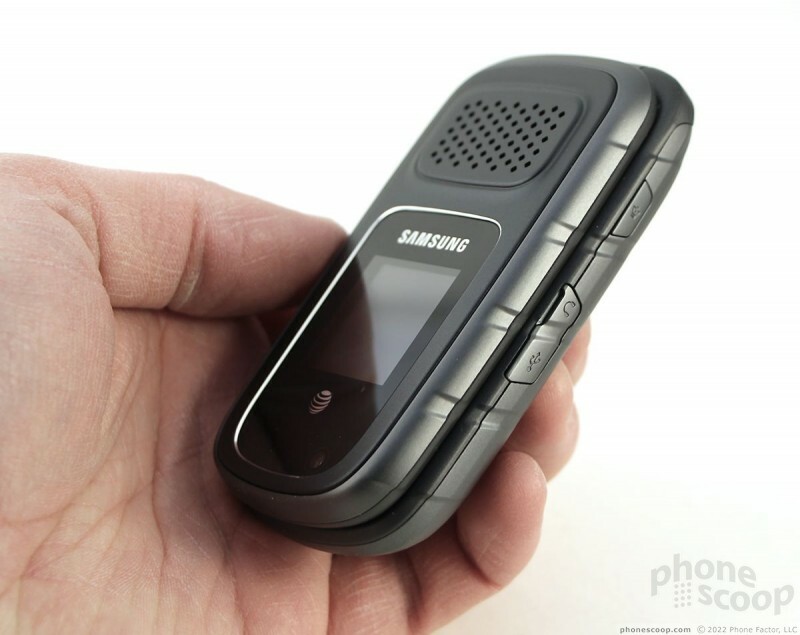 Using the Samsung Rugby III is like stepping into a time warp (it's just a jump to the left.) 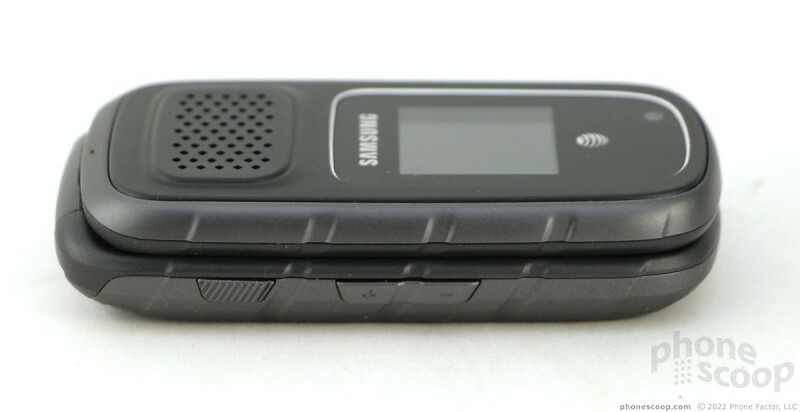 The design of this flip is right out of Samsung's design studio circa 2003. 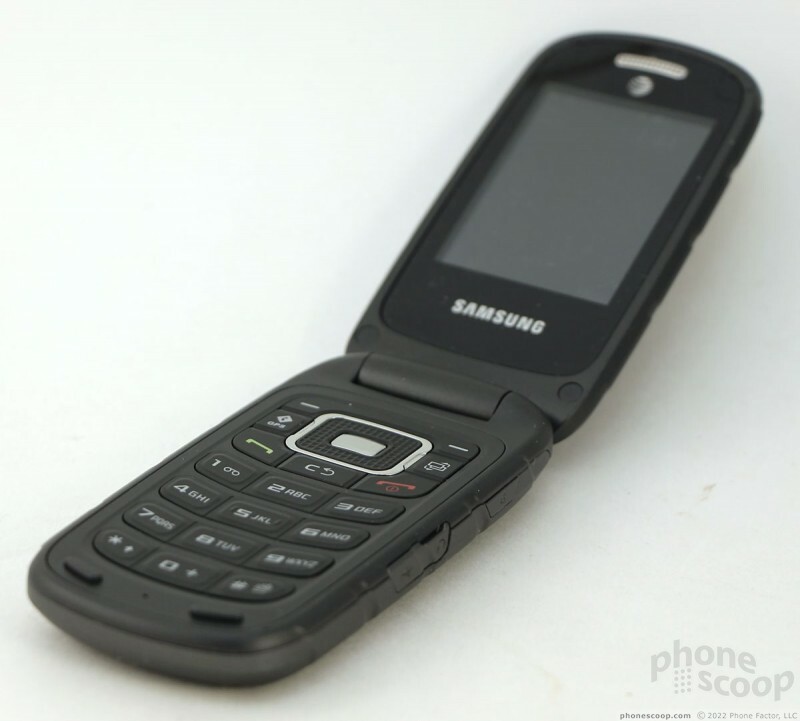 Pick any Samsung device from 10 years ago, add a thicker plastic shell, and there's the Rugby III (RIII) for you. 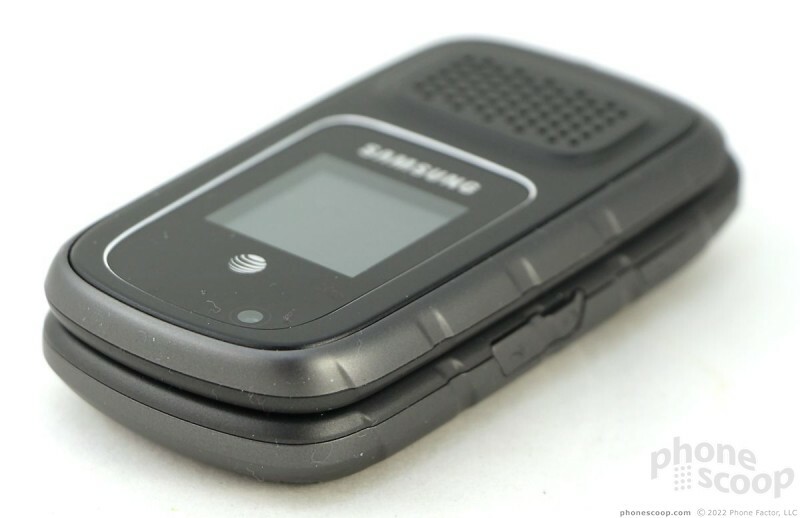 One of the drawbacks of fully rugged handsets is the sheer bulk needed to win all those impressive mil-spec certifications. 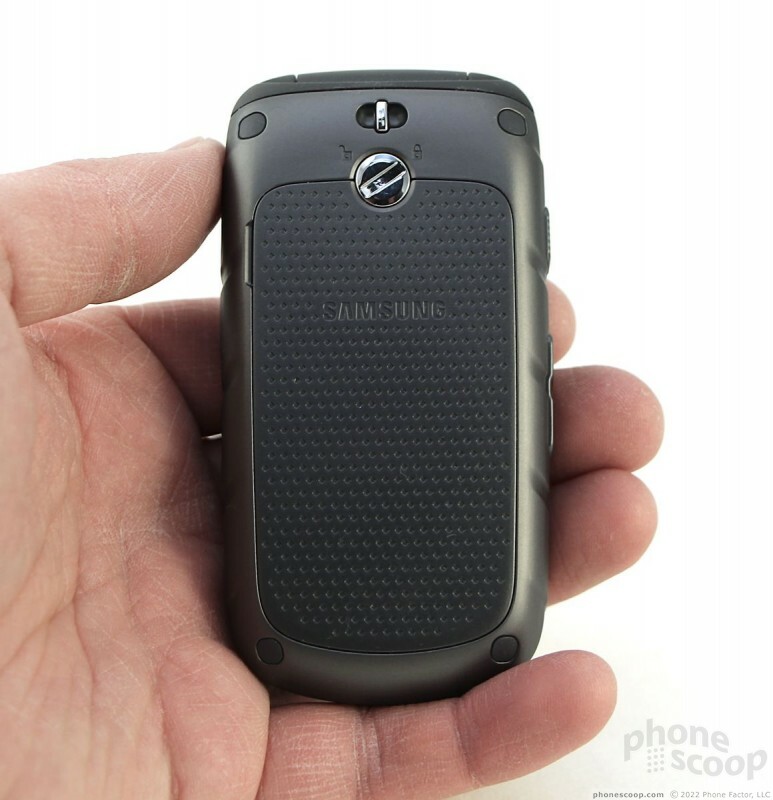 The RIII sheds that bulk and is instead a smaller semi-rugged phone. The RIII uses a gray-on-black color scheme, and there are slanted stripes that run along the side edges. It's not vanilla, as far as flip phone design goes, but neither is it a hot fudge sundae. I could easily grip the RIII in my hand. 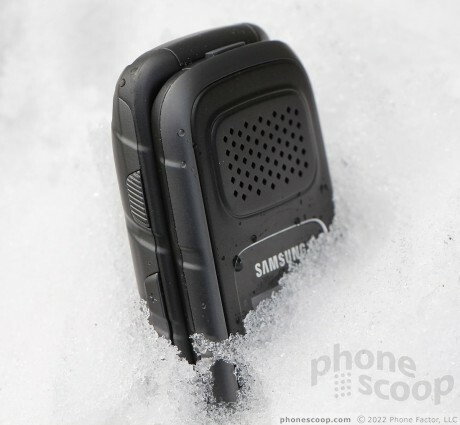 It has a comfortable size and will fit in pockets. At 0.87 inches (23mm) you won't forget it's in your jeans. The plastics are strong, but aren't as strong as the dense and rigid rubbers used on the most rugged devices. The quality of the materials is pleasing. There is no creaking plastic, there are no pliable surfaces, nor is there anything else to make the RIII feel cheap. The front of the RIII houses a large speaker grill and the secondary screen. The speaker grill is the one aspect of the RIII's design that I just don't like. Samsung could have picked a more attractive grill. The secondary screen is used chiefly for notifications and serves as a clock. There are two buttons that run along the left side: a dedicated PTT key and the volume toggle. Both jut from the side of the RIII, making them impossible to miss with your thumb. Travel and feedback of these buttons is outstanding. They each present a satisfying "click" when pressed. The flip mechanism is spring-loaded, so the top half will jump once you open the flip about half way. The hinge is smooth, solid, and strong. It doesn't wiggle at all, and has good action. The top half is nearly all display, while the bottom half is where the business end of the RIII is. 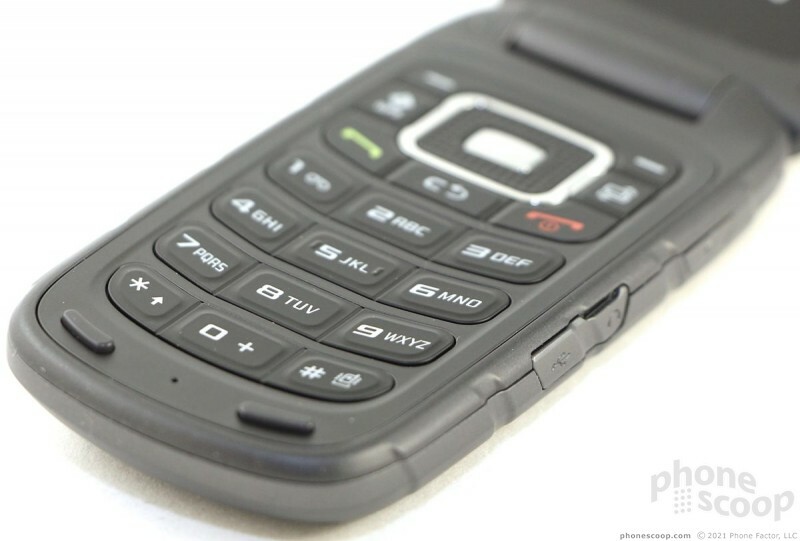 The RIII has a navigation cluster and keypad that are typical for a feature phone. The d-pad is rectangular with rounded corners. 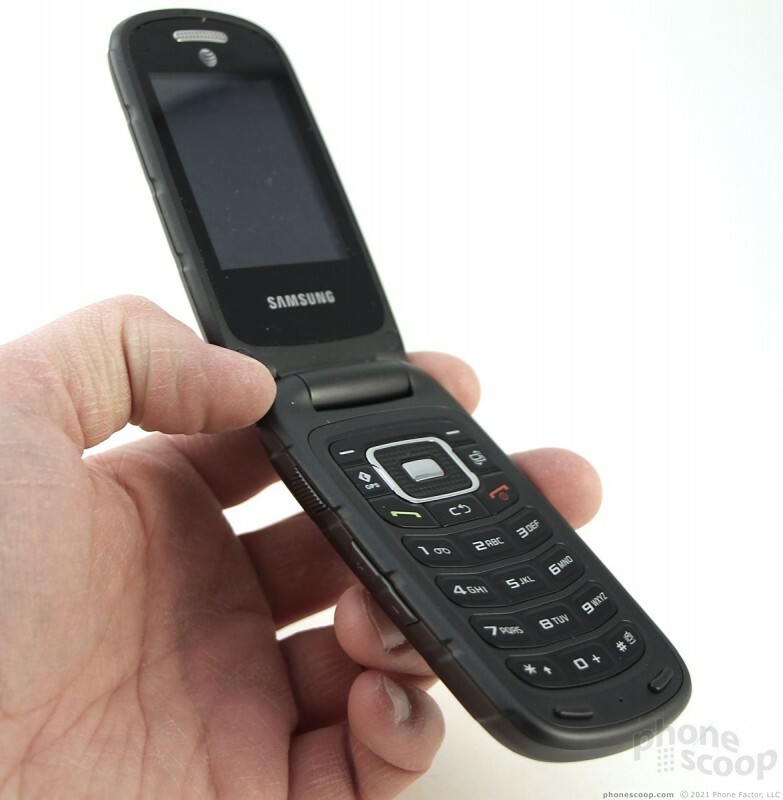 This crucial element is hard to find with your thumb, however, because it is too flush with the rest of the phone. The lack of a defining edge to the d-pad means I often pressed the buttons adjacent to the d-pad rather than the d-pad itself. That said, the direction keys all have good travel and feedback. The d-pad is encircled with a bevy of other controls. There are the standard two soft keys, plus dedicated Send and End keys. 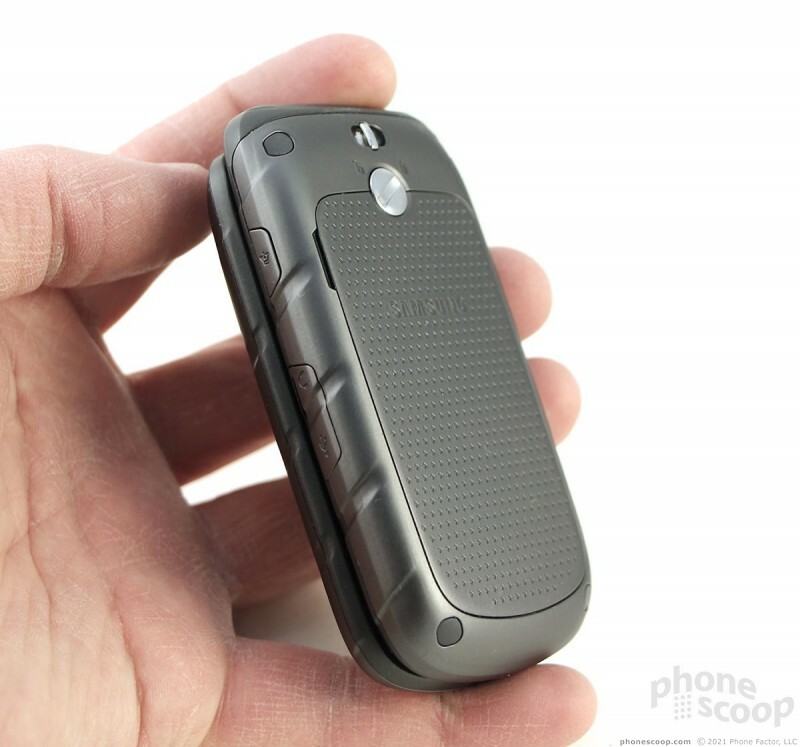 There are also dedicated buttons for GPS and multitasking, and a Back button wedged between the Send and End keys. All these buttons have identical travel and feedback that felt good. The number keys are flat, but have a small amount of shaping that helps your thumb figure out where it is on the keypad. 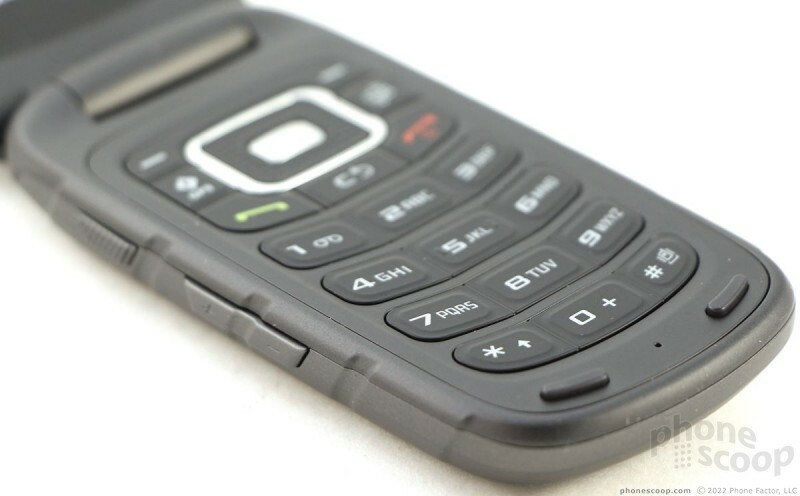 The keypad is spacious and easy to use for dialing numbers or entering text. The battery cover screws on to help keep water out. 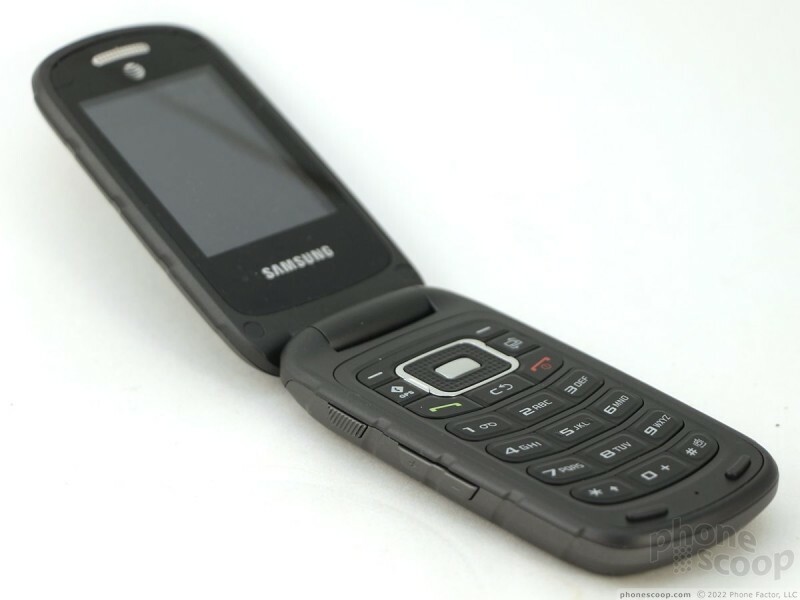 The screw requires a coin, and the battery cover itself really needs some prying to remove. Both the (full-sized) SIM card and memory card slots are located under the battery, which means no hot-swapping. 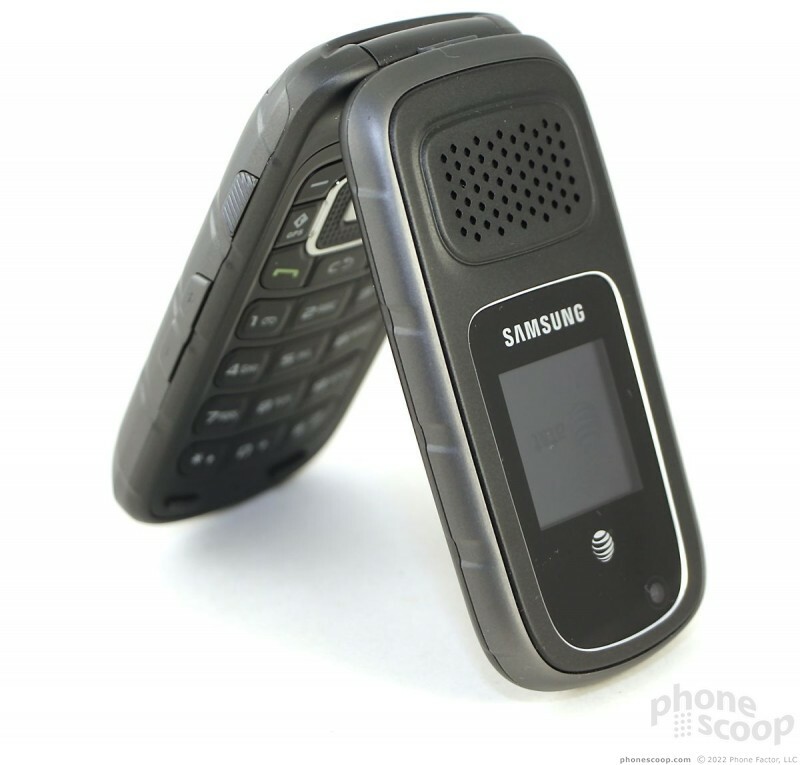 AT&T today announced that the Samsung Rugby III will be available online and in stores beginning December 14. 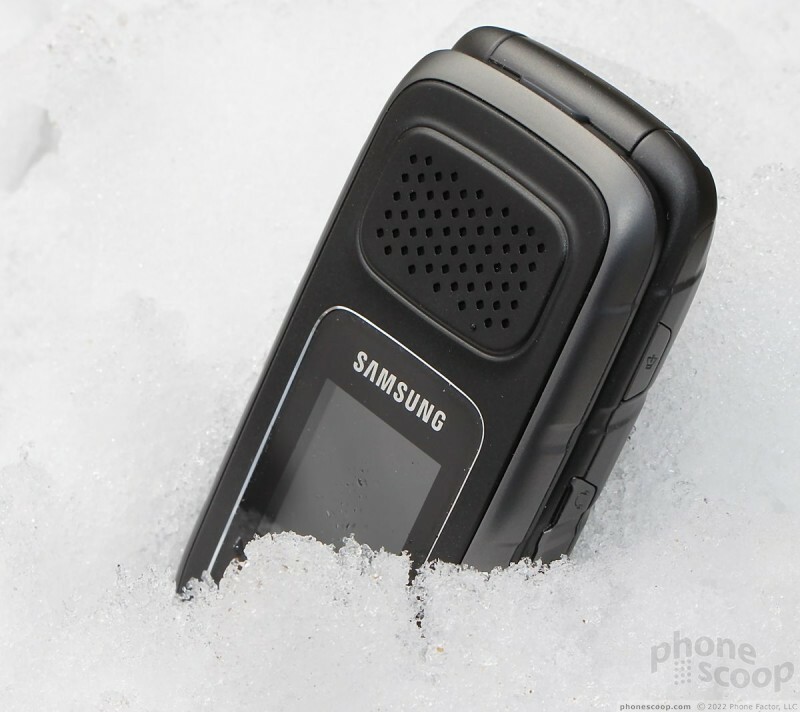 The Rugby III is a ruggedized flip phone built to mil-spec 810G for protection from water and dust ingress, as well as from shock. Samsung's latest semi-rugged smartphone for AT&T dials back the good looks of the Galaxy S7 in favor of a stronger, studier frame. The S7 Active is tough enough to take a tumble without the brick-like bulk of some fully rugged handsets. The article mentions "EPTT" (AT&T's own acronym for what it likes to call "enhanced" PTT). The "enhanced" part really refers to additional business-class features recently added by AT&T, things like interoperability with LMR (land mobile radio), integration with workforce field tracking & time reporting, etc.—capabilities that Nextel had ten or more years ago. 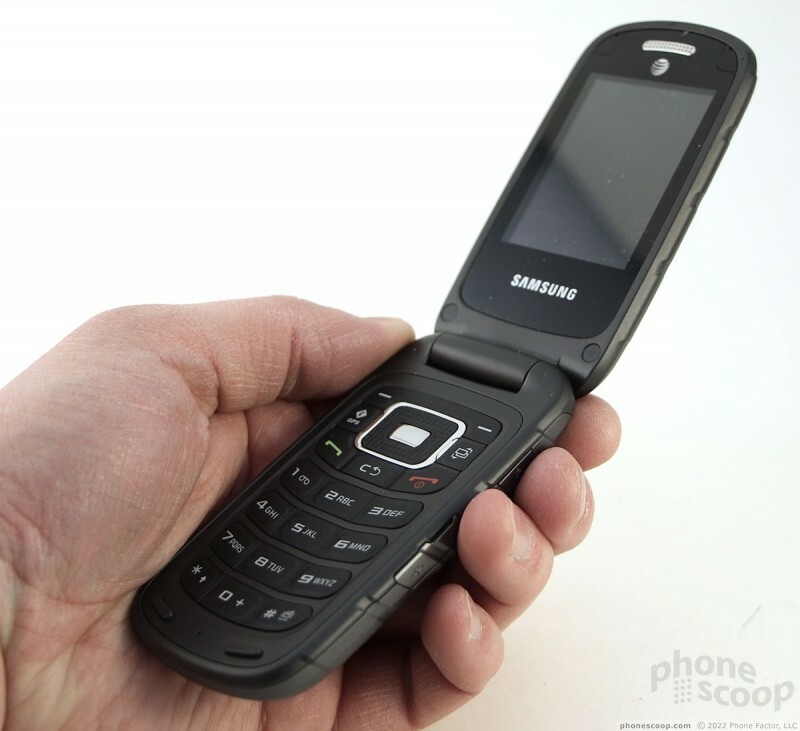 The PTT app itself was a little slow to open, but I didn't have any of the problems you mention with call setup times. I'd say they averaged 1 - 2 seconds at most. It's not lightning quick, bu it seemed acceptable to me. Compared to the Rugby II? 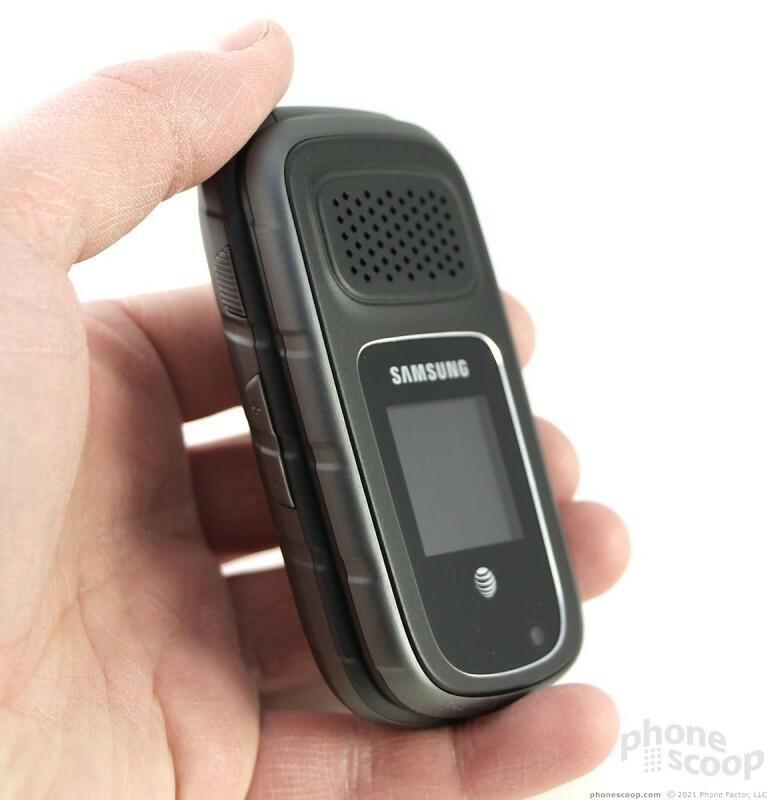 I don't know if you've used it, but would you say it's a step up or down from the Rugby II (since it's still available and half the price)?